On Thanksgiving, I introduced this little sweetie! I didn’t know how it would taste and I didn’t know if anyone would like it, but it seemed to be a hit! This super simple casserole will take your veggies to another level and make heavenly choir’s sing. You don’t have to limit it to corn, it tastes just as amazing with mixed veggies. Preheat oven to 350 degrees. Spray a small baking dish with cooking spray. In a saucepan, combine cream cheese, butter, and garlic on a medium heat. Stir until the cream cheese is smooth and then add the milk, mix well. Add corn, salt and pepper, to taste. Pour corn mixture into the prepared dish, and sprinkle with cheese. Bake for about 15 to 17 minutes. Sprinkle parsley on top and serve! 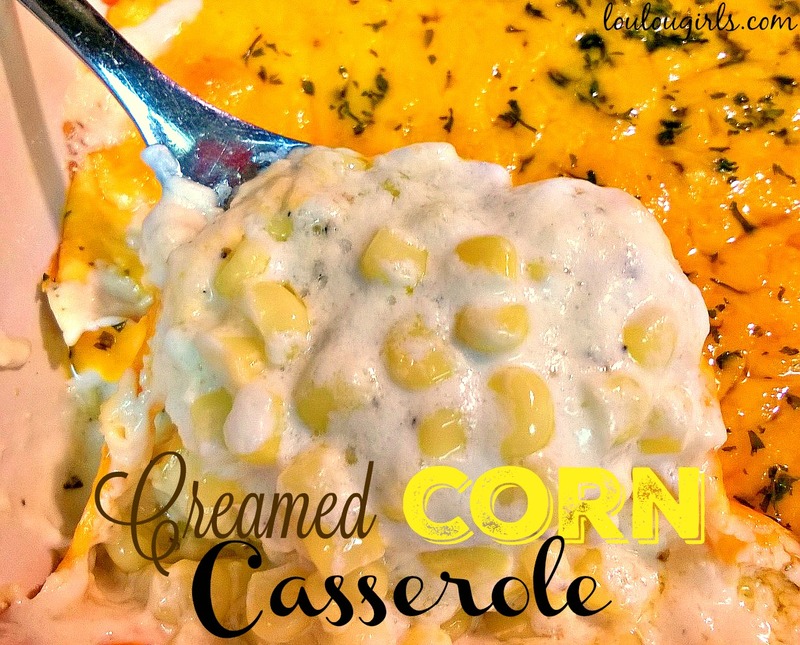 I love creamy casseroles like this, it sounds delicious! Thanks for sharing at What'd You Do This Weekend?! I'm going to have to try this since my husband loves eating corn and it gets tiring after awhile. This will help jazz it up a bit.